GoodReads Summary: For fans of Olivia and Eloise, this stunning debut from Kelly Light is an irresistible story about the importance of creativity in all its forms. Meet Louise. Louise loves art more than anything. It's her imagination on the outside. She is determined to create a masterpiece—her pièce de résistance! Louise also loves Art, her little brother. 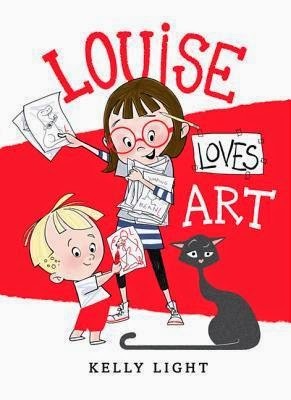 This is their story.Louise Loves Art is a celebration of the brilliant artist who resides in all of us. We've had so much fun with Louise Loves Art in our house! We read this in November during Picture Book Month and I tried my best to grab book pics with my wild and crazy kids. We loved watching Art follow Louise around and were just waiting for her to find out what he was up to. Having a little brother or sister can be complicated but Louise gave us an opportunity to talk about that. Little Bean is constantly wanting to be like his older brother but it's hard for Peanut to see that. It was nice to be able to talk about Louise and how she reacted to her little brother in this book. One character we absolutely love is their cat. That cat is awesome! It follows them around, knowing all the time what's going on and trying to help bring the siblings together. That little cat has some pretty amazing expressions. I'm not sure I've ever seen a more expressive cat before. It was fun to imagine what words would come out of the cat's mouth if it could talk. As a mentor text, this is a great opportunity to talk about personification and dialogue. Here students can see that the cat isn't able to talk and doesn't in the book, but what if we personified the cat and gave it the ability to talk? What might the cat say? This is also an opportunity to look at dialogue. What I love about dialogue is that it gives us access to the character who is talking but also to the other characters as well. What might the cat say that would reveal something about what it's thinking? What might the cat say that would reveal something about Louise and Art? Has this happened before? Has Louise had a chance to practice some patience before, too? This is a great time to talk about characters and how dialogue can play a role in developing characters. And what I completely, totally, utterly love about this book is that it reminds us to let free our inner artist. Growing up, I painted a lot with my grandmother and my aunt but I also did all sorts of arts and crafts. I still consider myself to be very creative and love how my artsy side has evolved over the years. I write more than practice any other kind of art but I do love colors and design and painting in the backyard with my kids. Louise Loves Art reminds us that we have imaginations that we can bring to life and that our art is worth sharing. At home or at school, kids can put on their own art show, hanging up their work and inviting others to come and admire it. 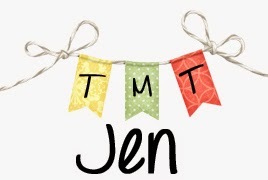 What a great way to celebrate art and share what kids - and maybe adults? - have created! It's my imagination on the outside." Writing Prompts: Imagine you are the cat in the story. What do you think the cat might think or say to Louise and/or Art? Think about how dialogue shows the reader about the characters.